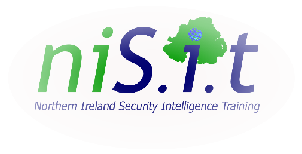 NISIT LLP specialises in many products which are grouped in specific market or industry sectors. These different product groupings are detailed below and clicking on the image will open specific pages relating to the product group. In the world today, the threat from ballistic weapons has become more and more common, from robbery to civil conflict and major conflict’s such as we see in Afghanistan and Iraq and many other countries around the world. NISIT provide specialist solutions for this market but more importantly for the protection of high risk areas and structures where the highest threats on premises are common. Our system is unique and has been proven to stop up to and including .50 calibre repeatedly without degradation. The threat from terrorist bombs is now a common theme around the world. NISIT has with our partners, developed a new polymer, which when applied to the outer and inner face of a construction has been proven to successfully prevent destruction against 5000 Kg of TNT High Explosive at 43 m from the detonation point. This material can be applied to almost any surface and is sprayed on, making the application relatively fast but a provides a proven defence against the affects of explosions. The world today has created a different environment for us to live in, where risk exists to not only military, Police and security personnel, but also to business people, lone travellers and in fact anyone whether in their own country where criminal elements will look for every opportunity to take advantage of an opportunity.To this end we have a range of security products ranging from personal use for low risk through to high risk products to provide everyone with the key tools and/or equipment they might need to maintain their own safety.